Family life is hectic. Yet no matter how chaotic your life, each day presents opportunities to talk about your Catholic faith and pass on your family’s values. God is with us always and in all ways, and some of the most sacred conversations start in the smallest of moments. The end of the day is an ideal time to talk with children about their faith and pass on your family’s values. Story time: Read one or two books together before bed (or a chapter of a book for older children) and talk about the “teachable” messages in the story. Learning to share, caring for someone who has been left out and the value of friendship are all common themes in many children’s books. Prayer time: Praying before bed brings both parent and child back to what matters most — our relationship with God. Allow children to offer their petitions to God by naming the people they’d like to pray for (remind kids that Jesus taught us to pray for our enemies, too). Bedtime offers a unique opportunity to teach traditional Catholic prayers — Hail Mary, the Lord’s Prayer and Glory Be — through nightly repetition. The Guardian Angel Prayer is comforting for kids of all ages. Driving provides a unique opportunity for family conversation — you’re enclosed in a small space with the kids! What is one new thing you learned today? Who is one of your closest friends right now? Why? Who should we pray for today? Tune time: Liven up drive time by cranking your favorite tunes and singing together. Music offers “teachable moments” through the lyrics of songs. You may ask older kids if the song lyrics fit with your family’s faith and values. 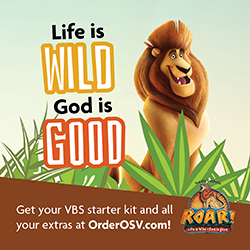 Talk with young kids about the lessons we can learn from songs — God’s teachings are all around us! The kitchen table is a natural gathering place for family and friends. Snack time: Sharing an afternoon snack is a great time to catch up with kids. One mom I know lights a candle on the kitchen table at the end of the school day and sets out healthy snacks for the kids such as bananas, crackers and juice. This short, five-minute break is often enough time for a quick check in. Offering a quick prayer at snack time is a great reminder that Jesus is with us in our everyday lives. “God, we thank you for this food and this family. Bless us and guide us this day and every day. Mealtime: Today’s mealtimes are often rushed or, worse, on the run. Make an effort to gather around the table for breakfast or dinner and slow your family’s pace. Hold hands when you say grace, and at the end of the prayer ask every member of your family to share a couple of things for which they are thankful. Remembering our blessings helps us appreciate all that we have been given by God. Weekends offer a break from the weekday routine and the opportunity for more focused family time. Sacred time: Attending Mass together is the best way to live out your Catholic faith as a family. From the Gospel readings to the celebration of holy Communion, our Catholic liturgy grounds us in the mission, message and salvation of Jesus Christ. 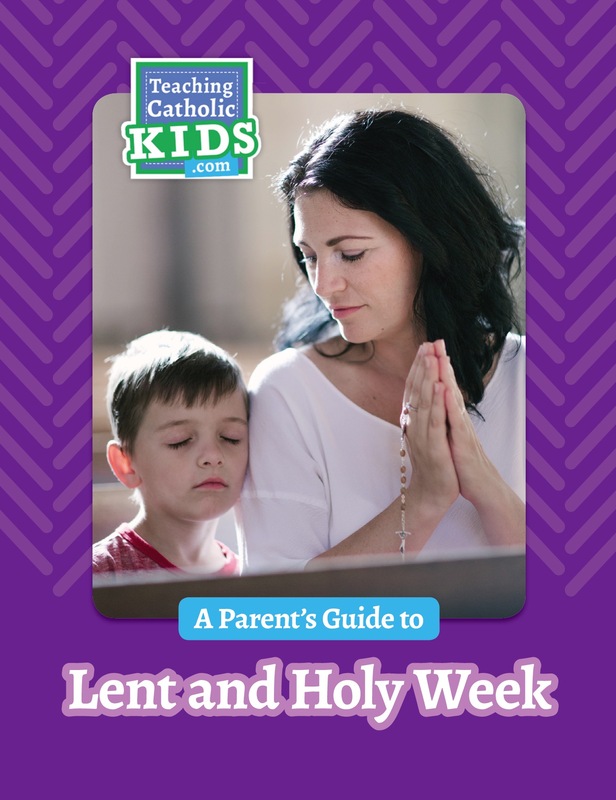 Help your kids learn about reverence and prayer by talking them through the order of the Mass before attending. 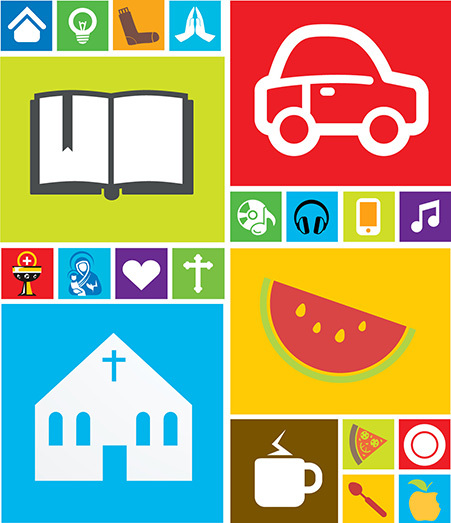 For tips to help your kids prepare for Mass visit www.osvparish.com and click on Take Out extras. Playtime: Board games offer great family fun, filled with opportunities to teach your kids important life lessons about winning and losing gracefully, kindness, appropriate competitive behavior and just letting go and having fun. Harness kids’ creativity by switching up the rules of the game or letting each child write one new rule. Remind your family that, while winning and losing may seem important in the moment, the most important lesson of all is that we love one another and cherish the gift of family.